A Memorial Service will be 11:00 A.M. Tuesday, June 19th at the Aurora United Methodist Church. Rev. Mary Scott will officiate. Inurnment will be at the Aurora Cemetery. No Visitation. Memorials may be made in care of the family to designate at a later date. Higby-McQuiston Mortuary is in charge of arrangements. Condolences may be e-mailed to the family through the mortuary website at www.higbymortuary.com. 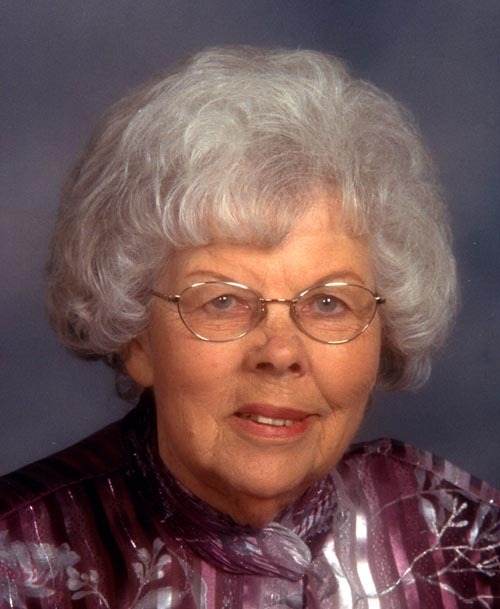 Lois Ailene Ough, the daughter of Roy and Freda (Hofrichter) Carter, was born in Bruning, Nebraska, on February 16, 1922, and passed away in Aurora, Nebraska, on June 2, 2018, at the age of 96. She was raised in Bruning, Nebraska and graduated from Bruning High School. After graduation, she earned a two-year teaching certificate in elementary education from the University of Nebraska. Lois spent most of her teaching career at Hampton Public School, in Hampton, Nebraska. During those years she took evening and summer classes at the University of Nebraska and was proud to earn a Bachelor’s of Science degree in Education. She continued to take courses until she had the equivalent of a master’s degree. Facilitating learning for children was a great passion for her and many of her former students have expressed that she was their favorite teacher and influenced their lives.